The Taipei Train Station is the largest transportation hub in Taiwan and from the station you have the option of taking trains, the high speed rail, the Taipei MRT, intercity busses and city buses - You can even grab a YouBike and ride a bicycle around the city! The area is about to get a lot more convenient in the near future with the completion of the expansion of the Taipei Train Station and the Airport Express project that will offer the same type of high speed express trains that are common in many large metropolitan areas around the world but also MRT access all the way to Taoyuan! The area around the station is popular with backpackers for its convenience with several hostels available as well as for shopping with the newly opened Q-Square mall (京站), an electronics mall, the Mitsukoshi department store and (I have to mention) Bo-Ai Road (博愛路) which is affectionately known by photographers as "camera street". 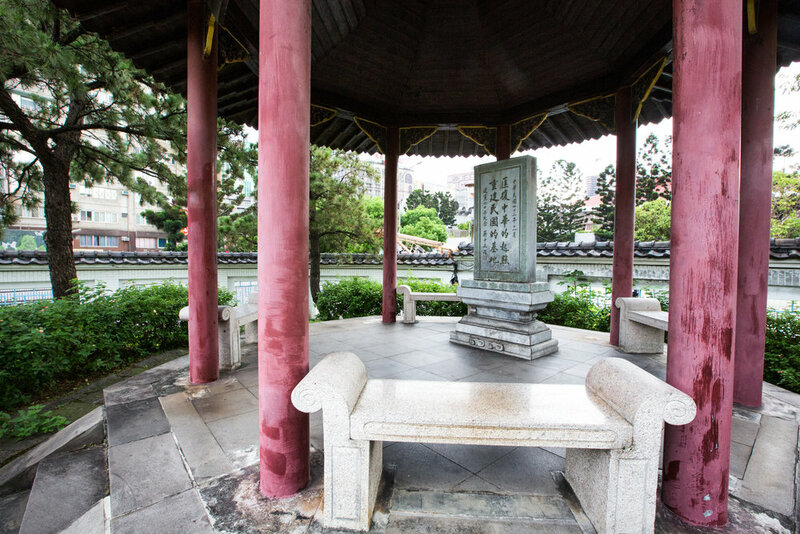 Tourism-wise, the area around the station only has a few sites that would be of interest to travellers which include the historic Beimen Gate (北門), the 228 Peace Memorial Park (二二八和平公園), Dihua Street (迪化街) and the Dadaocheng Wharf (大稻埕碼頭). There is however a little known piece of ROC history situated within a park near the station that doesn't attract a lot of tourists and isn't really found in many guide books, but if you're stuck in the train station waiting for a train you might want to take a walk over and check it out. 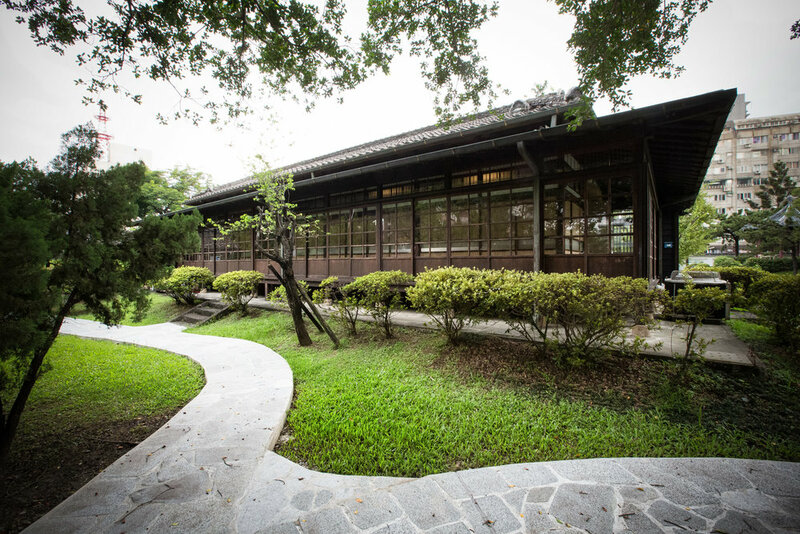 The Sun Yat Sen Memorial House (國父史蹟紀念館) not to be confused with the Sun Yat Sen Memorial Hall (國父紀念館) is a small Japanese-era wooden house situated within Yixian Park (逸仙公園) that is dedicated to the founding father of the Republic of China and is the location where the man, who is known as the "Founder of the Nation" (國父) stayed for a short time during one of his visits to Taiwan shortly after the 1911 Xinhai Revolution (辛亥革命) which overthrew the Qing Dynasty. Sun Yat Sen (孫中山) is an extremely important figure in modern Chinese history and was the founding father of the Republic of China. Strangely, he is also important to the so-called communist regime in the People's Republic of China which memorializes him as a revolutionary who initiated regime change and allowed for further revolution within China proper. No matter what your politics are, Sun was one of the most important figures of the 20th century and to this day continues to be one of the few figures revered on both sides of the Taiwan strait. In life Sun was a physician, politician, revolutionary and a writer and was one of the great thinkers of the time and his political philosophy of the "Three Principles of the People" (三民主義) is one that helped modernize Asia with regard to political thought. Sun can be a bit of a confusing figure to westerners due to the fact that he went by so many names. 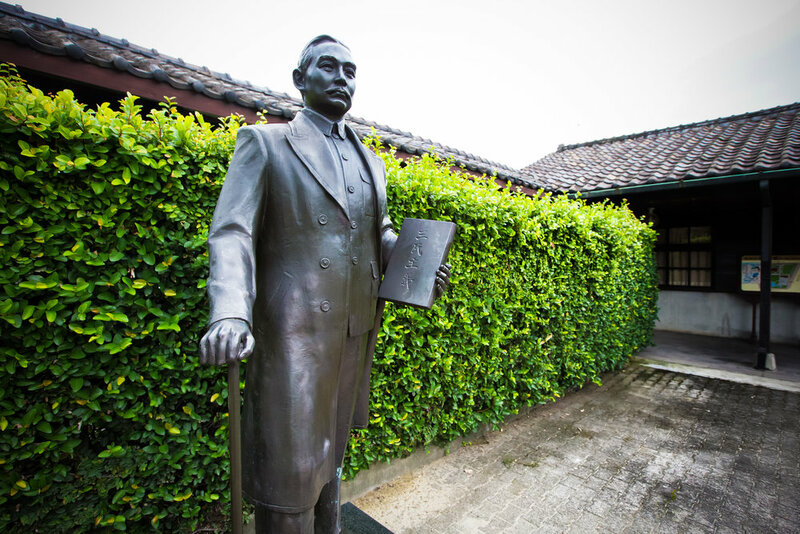 He was born Sun Wen (孫文) and also went by Sun Deming (孫德明) which later became Sun Yat Sen (孫逸仙) while he studied in Hong Kong and then his most popular name Sun Zhongshan (孫中山) which was "Nakayama" and a product of his time spent in Japan. If you can keep his names straight you're likely to notice that city districts, streets, schools and parks all over Taiwan go by a few of his names and the park for which this memorial house is situated in is no different as it is named "Yixian Park" (逸仙公園) which is the Mandarin pronunciation of the Cantonese "Yat Sen". 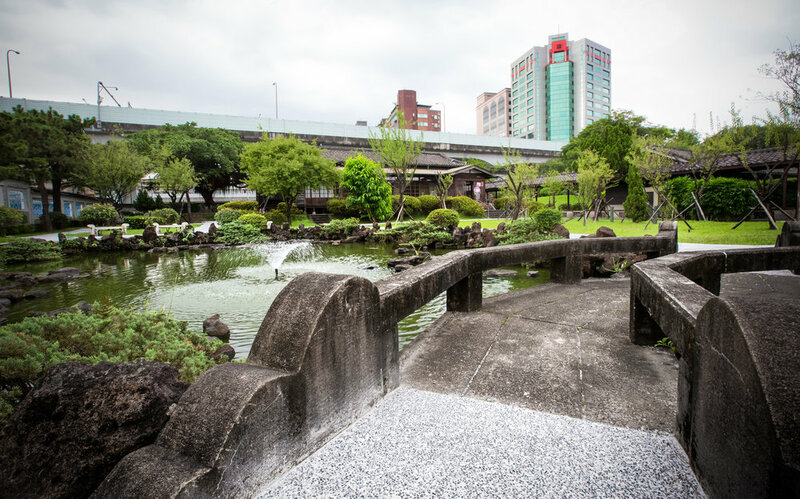 The park is a beautiful Japanese-style garden and is very simple in nature and actually quite a relaxing place to visit in the middle of the concrete jungle of Taipei. There is a small pond filled with Koi fish, tree-covered benches and a pavilion with a plaque in remembrance of Sun. The house in the middle of the park is where Sun stayed and was a former Japanese hotel named Ume Yashiki (梅屋敷) or "Plum House" in English. The traditional wooden Japanese-style house was built in 1900 while Taiwan was still under the control of the Japanese empire. Sun made a stop in Taiwan in 1913 for a few days and stayed in the hotel (which was considered to be quite extravagant for the time) before heading to Japan. By that time the revolution to overthrow the Qing Dynasty was complete but the road to democracy in China hit a bump in the road when Yuan Shikai (袁世凱) railroaded the government, instituted a system of warlords and dedicated to proclaim himself emperor which led to decades of strife and the eventual Chinese Civil War. Sun's visit to Taipei was a part of his efforts to start a second revolution (第二革命) which was meant to overthrow Yuan but ultimately failed. Despite only staying in the hotel for a few days, the hotel was appropriated by the Chinese Nationalists when they retreated to Taiwan and ultimately became a memorial site for the man who they considered to the be founder of the nation. The park and hotel today are not in the original location as it had to be moved to make way for the expansion of the underground Taiwan rail system which fed into the nearby Taipei station. In 1983 the park was closed and moved 50 meters away from the original location reopening to the public in 1987. Now that you know the history I'm going to speak plainly - You might notice that there are only photos of the park and the Plum House from the outside. I didn't actually even bother stepping into the house. Why you might ask? There are strict rules that you are not allowed to take photos in the house. I don't particularly understand why such rules are in place in this area, it makes absolutely no sense and is probably one of the factors why the park is relatively unknown. It's actually quite unfortunate when you consider that the park is such a nice little space within the city and has the potential to be a nice little tourist attraction. When a tourist spot has arbitrary "No Photo" signs all over the place and guards standing around to enforce it, it just makes me want to leave. I'm not sure if others feel the same as I do about this kind of thing, but my primary interest is photography and helping to promote Taiwan. I feel like I'd like to recommend this beautiful park to people but this really left me with a bad taste in my mouth! The government spends a considerable amount of money on the upkeep of the park as well as having staff there to give information to guests and guided tours. If they are investing that money they should probably do a much better job promoting it. 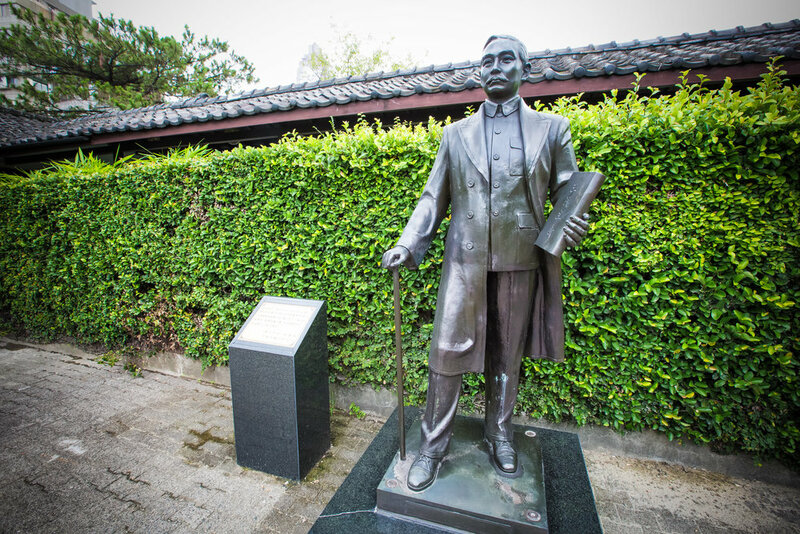 There isn't much English content available online about this place, so if you'd like a more balanced (non-photographer) opinion about the park, be sure to check out Taiwan Explorer's blog post from a few years back: Sun Yat Sen Memorial House and Yixian park. 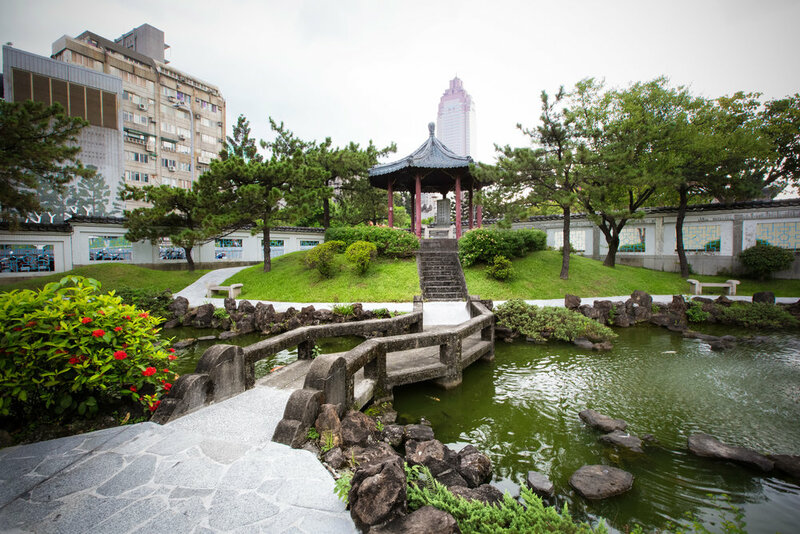 If you'd like to visit the Sun Yat Sen Memorial House and Yixian Park simply walk out of the East exit of Taipei Main Station and walk for 2-3 minutes down the Civic Boulevard (市民大道). Entrance to the park is free and it is open between 9-5 each week from Tuesday - Saturday (Closed on Mondays). If you visit enjoy the history and take a photo inside the house as a form of tourist protest!